The app is fabulous! It is very intuitive for a kid to play and manage. It has a huge learning potential. It teaches little kids love, compassion, responsibility, schedules, patience and personal boundaries. 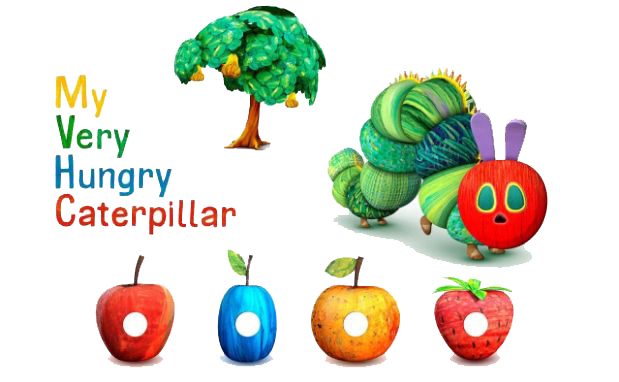 There is also a bit of biology involved: the caterpillar is growing into a butterfly. The design is very nice. Eric Karle's style is all over the app. Everything happens against the white background which is very good for little kids: no extra distractions. The caterpillar itself becomes a friend to your child. The game requires a child to come back to it every day or so to feed, walk and play with their new friend. So they feel like a parent in a way. It really helped me to explain to my son WHY he has to eat every day and go to sleep at night (obviously "to grow up"). It also showed him what is like to have a pet. The app is easy to install and pretty light to run. It can work without internet connection and is perfect for a flight or train ride for example. It did not tax the iPad battery at all when I tested it on a 9 hour flight (my son was playing it for 3 hours out of 9). I would say it is a great app that teaches your kids love and care. It also encourages them to read books by Eric Carle. It's a double bonus. Last but not least the app is totally worth the money. "No ads" mode helps kids concentrate and prevents accidental clicking on banners. I saw that a lot with other educational apps for kids. It if frustrating for a parent and a child.